This lovely kundan jewellery and earrings set is created from small film gold plated brass. The earrings square measure designed exactly to suit the pendant. 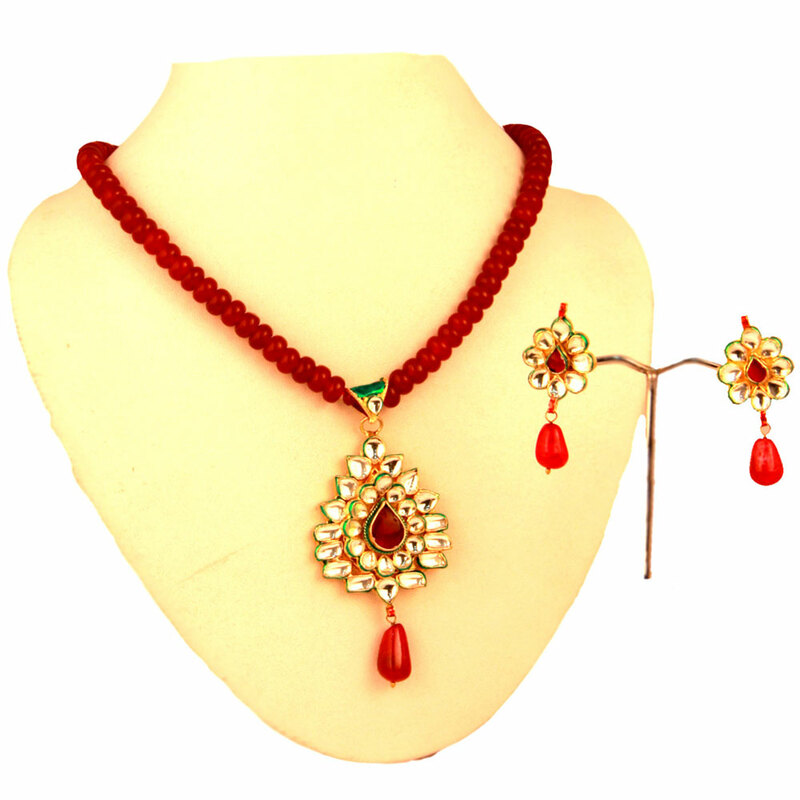 This adorable kundan necklace and earrings set is made from micro film gold plated brass. The necklace features a red beaded string having a pendant Read More..made from white kundan stones – arranged in heart shape and having a beautiful red teardrop dangling. The earrings are designed precisely to suit the pendant. Show Less..